So, you think everything is fine when a dog wags its tail? Here is a compilation of what some people think is going on in a dog’s mind when they wag their tails. “March 27, 2007 — Going right or left makes a big difference for tail wagging dogs, Italian researchers have discovered. Tails wag to the right when dogs are happy and see something they want to approach, and to the left when they are frightened and confronted with something they want to run away from, claim the researchers. Continue reading So, you think everything is fine when a dog wags its tail? Posted on May 7, 2010 Categories Behavior1 Comment on So, you think everything is fine when a dog wags its tail? Does your dog have a hard time while you are not at home? Some dogs will be okay some days but not other days. Here are some things you can do to help your dog keep his mind at ease. Some people don’t even use dog bowls to feed their dog – they simply put kibble specially designed toys to make their dog work for its food! This is a great game you can play inside and outside. Your dog needs to know how to come and stay if your playing alone. To play tell your dog to stay or have someone hold him. Get him all excited by bouncing around and saying his name. Then run off behind a corner or tree. Poke your head out and say the dog’s name and a release command (so the dog knows he can go get you) and a find command. Make sure that if you have some one holding your dog that they release him too. When your dog finds you be sure to praise him and give him a treat or a toy. This is also a great way to see if your dog might have fun being a part of Search and Rescue. Let us know how your brain games go! For more games check out K9 Domain. How do we help our dogs play nice? A lot of dogs love to play. With the advent of ‘the dog park’ more dogs are now able to play with others. This is great for dogs that live in one dog families or younger dogs that aren’t fluent in dog language. I think we can all agree that there is something special about watching certain dogs play together. What is it about these dogs that play so well that makes us smile just watching them? It may be a rottweiler playing with a six week old teacup poodle; when dogs self-handicap and play at equal levels its heartwarming. When dogs handicap themselves you will see role reversals and pauses in play. 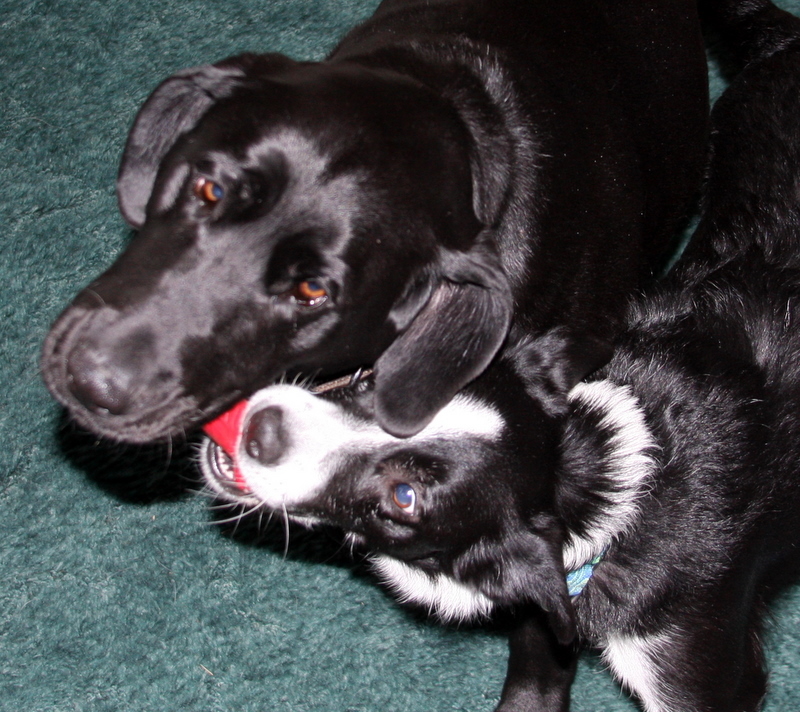 Continue reading How do we help our dogs play nice? 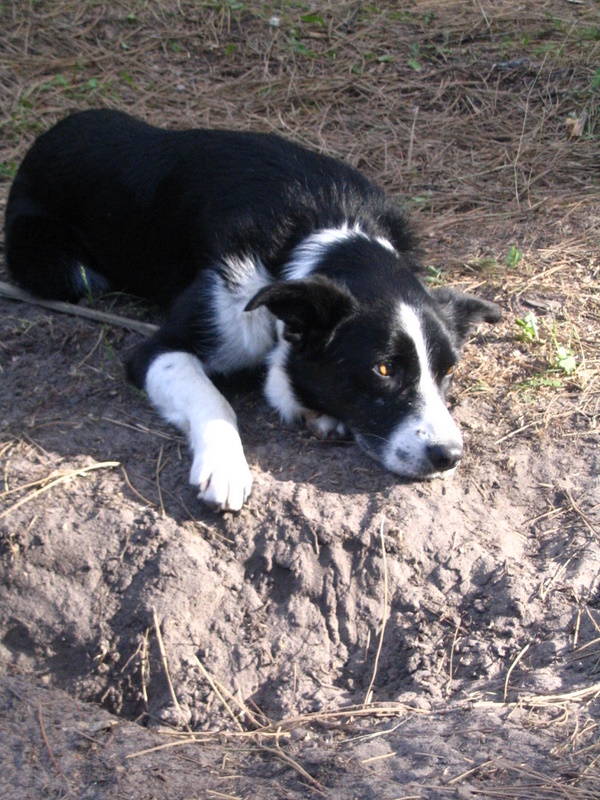 Posted on March 20, 2010 Categories BehaviorLeave a comment on How do we help our dogs play nice? In their recent book “Made to Stick,” Chip and Dan Heath detail the characteristics that make an idea or explanation “sticky.” According to their analysis, stories that are simple, unexpected, and concrete capture our imagination and get lodged in our brains. Many urban myths, they point out, are ideal examples of this phenomenon. Here is a poem you don’t have to be educated to enjoy! This poem was printed in Clark Fork’s own River Journal in October 2009.
and don’t come home ’til the end of the day. their ain’t no way you can call this fair! this pen don’t cut it, I’ve gotta be free. Okay, so I’ve made a page with a list of breeders in our north Idaho and I am sure there are a lot more people breeding dogs that I don’t have listed. No, I have not contacted any of them but all of these people are or have been advertising themselves. Book Review: Beyond Fetch by D. Caroline Coile, Ph.D.
For Christmas my mother in law gave me a book that I’ve really been enjoying – Beyond Fetch. Of course I saw the border collie and borzoi on the front and instantly liked it, but I had done a bit of research before putting the book on my wish list and its living up to its reputation as a book that has some meat to it with new ideas that will entertain you and your dog. I think a big problem for people these days is staying active with their dogs, something that is healthy for both ends of the equation and builds up trust and respect, resulting in a stronger bond. This book has some awesome activities for when its freezing out side, like right now, outside games, sports, parties, toys, etc… Continue reading Book Review: Beyond Fetch by D. Caroline Coile, Ph.D.
Posted on December 29, 2009 Categories Behavior, News, TrainingTags Book Review, games, Jack Russell TerrierLeave a comment on Book Review: Beyond Fetch by D. Caroline Coile, Ph.D.